The Special Adviser on Education: Obafela Bank-Olemoh is an astute visionary, strategist and administrator per excellence with a verifiable track record of impact in his almost 20 years of professional and social service engagements. He represents the new generation of middle-aged Nigerians who are passionately committed to the realization of the “New Nigeria” that can only be achieved through hard work & inclusive participation. Before his recent appointment as the Special Adviser to the Lagos State Governor – Education, he was the Chief Executive Officer of Media Vision Limited, Nigeria’s Leading Events Management & Sports Marketing company, now with international affiliates. He developed and nurtured his entrepreneurial spirit at SystemSpecs Limited – the leading provider of software solutions for the Nigerian and the African Market. Enlisting as graduate trainee, he rose to become Senior Manager (International Sales) before he resigned to pioneer and co-found MediaVision Limited in 2003. 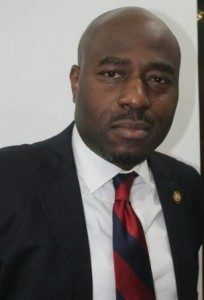 ‎Born December 31st 1973 into the Bank-Olemoh and Bajulaiye families in Lagos Nigeria, he attended Obafemi Awolowo University between 1992 & 1998 where he obtained a Bachelor of Science (B.Sc) Degree in Accounting. In a bid to deepen and entrench his entrepreneurial orientation, he actively participated in the OMP Entrepreneur programme from the prestigious Lagos Business School of the Pan African University in 2007. He is also an alumnus of the Business School Netherlands where he obtained a Master in Business Administration in 2012. ‎He is a very passionate leader per excellence whose service to humanity made him an awardee in 2014 of the Lagos State Merit Award for his contribution to the education sector. Board Member: Sickle Cell Advocacy & Management Initiative 2011 – date. He is the Lead Pastor of Foundation of Truth Assembly in Ajah on the Lekki Peninsula. He is a firm believer in preserving values in a world that is fast losing its morals, which has now snowballed into his pet project “Parenting in the 21st Century” whose overriding purpose is to equip parents as well as guardians with the right knowledge sufficient for effective parenting. He is happily married to his heartthrob Deaconess Jumoke Bank-Olemoh and their union is blessed with children – Oluwanifemi, Anjolaoluwa & Ebunoluwa.